You can have the most beautiful garden in the neighborhood this summer with these tips! Though the days have grown longer, the true heat of summer has only just begun. As the weather grows from warm to hot, you may want to consider altering your garden to reflect the beauty and climate of the coming season. 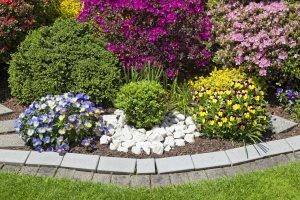 Today we’re going to be touching on how to prepare your garden for summer and which flowers will add a beautiful splash of color to your landscape. Let’s take a look. Preparing For Summer is Simple. Preparing your garden for summer is very similar to preparing your garden for any other season. You want to make sure that you have ample space in your pre-determined gardening area. You want to make sure that you have all of your supplies. As always, you will want to study up on the seeds that you plan on working with so that you can cultivate them in the most effective way. Though these tips may seem obvious and simple, proper planning is exceptionally important when getting ready for your summer garden. Choosing The Right Flowers For Your Summer Garden. The hardiness zones exist to help us choose the right plants for our gardens according to the general temperature of the area. Now, Maryland falls into hardiness zone 7, so the flowers that are discussed below should thrive well in Maryland and the surrounding areas. This beautiful red flower will add a bit of color to your garden. It blooms from June to September, making it the perfect summer addition. The daylily comes in many colors, all except blue, and is an easy flower to plant and grow. Though the flowers themselves only last a day, they take their time to bloom. If you’re looking for a flower that will pop, then this one will suit your needs. It is a two-tone flower with a lot of sophistication, but it may be a challenge to cultivate. This entry was posted on Thursday, May 18th, 2017 at 7:38 am. Both comments and pings are currently closed.